I am nothing if not consistent. I tend to be impatient and impulsive. And, today was no different. 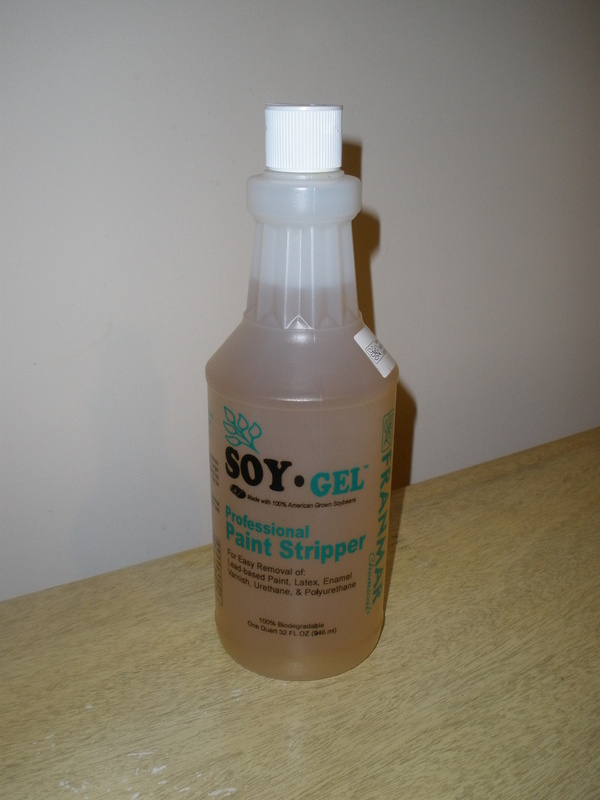 At work, I received my shipment of Soy Gel, a soy-based stripper. When I got home, I couldn't wait to apply a coat. I didn't eat, I didn't take a load off, I applied some stripper to the dresser. I learned my lesson, though--I started with a small patch. I'm planning on doing this project slow and steady! Update: The stripper's only been on 1 hour or so, and it's already removing the surface! I'm excited! ha! love the blog post title - very clever! Where did you order the soy gel from? I'm thinking about stripping the kitchen cabinets in my new place and painting them white!